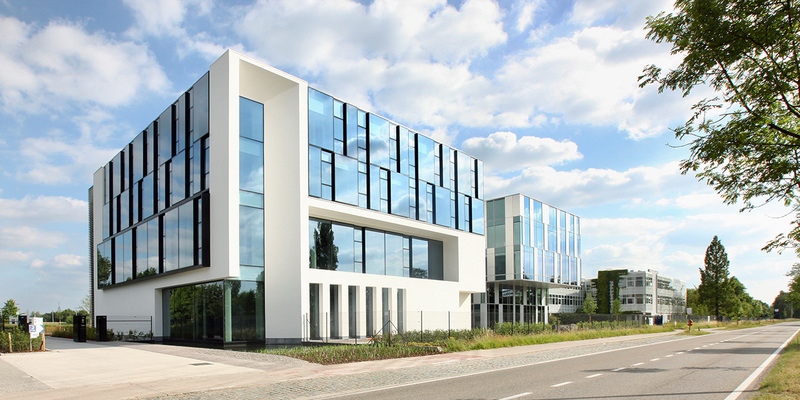 Reynaers Aluminium is a leading European player in the development of innovative and sustainable aluminum applications. 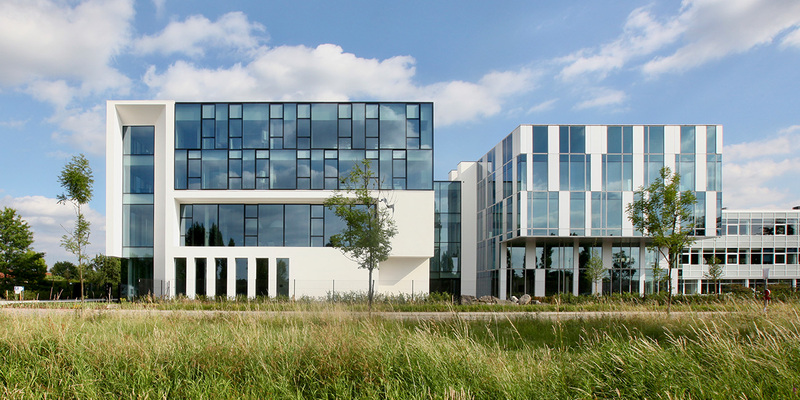 The Belgian company attaches great importance to quality and innovation and wanted to see those values reflected in the new building on the campus. The street-side façade reflects the building’s functions. The reception areas on the ground and first floor are hidden discreetly behind closed walls with a series of fine openings, and large windows surrounded by a broad edge, which look out over the showroom. Spacious visitor entrance at the rear façade exudes openness. The rear of the building is also an illustration of the extensive options the company has to offer. The large, delicate sliding door on the first floor, which opens out onto the patio, is an example of Reynaers expertise. 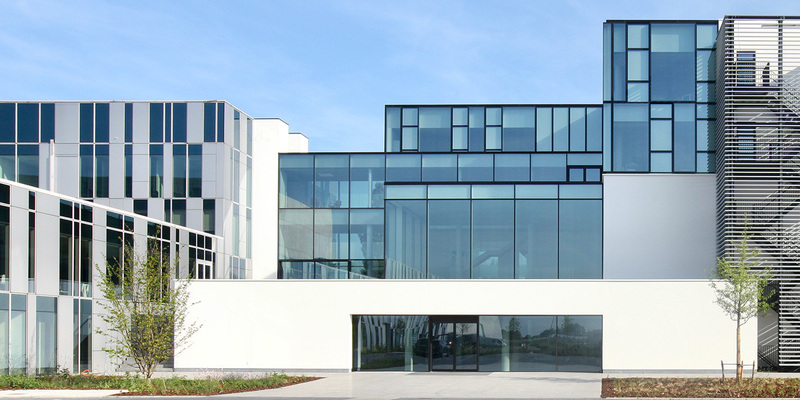 The frame system for many of the windows was also developed in collaboration with the client. 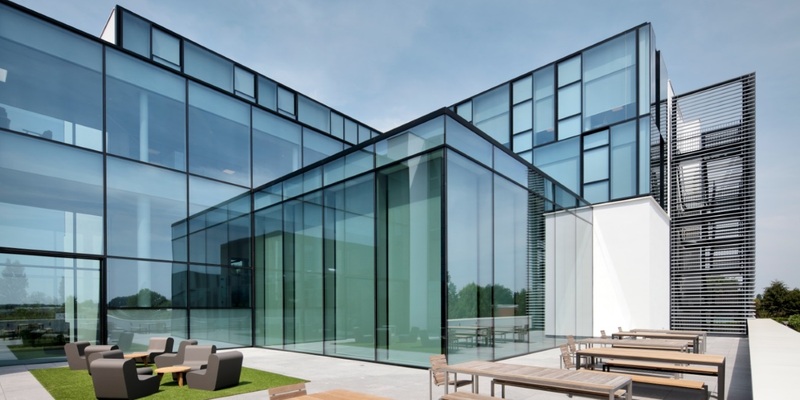 Although largely comprised of glass, the building meets the strictest insulation and solar regulation requirements and is Nearly Zero-Energy. Everything in the building was designed to be high quality and deliberate. Digital quality goes hand in hand with the finish throughout, when it comes to materials and lighting.